Create a home you love, on your own, without spending tons of money. This self-paced course gives you all the information and tools you need to redecorate your home for a completely new look at a very low cost. » I'm ready to enroll! you'll get access to the COMPLETE course. Plus, you'll get to become part of a community of people learning to redecorate just like yourself. Upon purchasing the course, you'll become a lifetime member of our private Facebook group where you can ask questions, get feedback directly from me, and join a community of like-minded people looking to redecorate their homes on a budget! 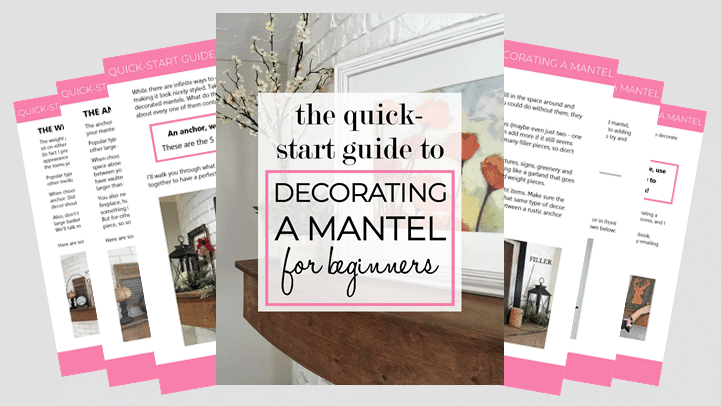 You also get BONUS decorating guides for FREE! When you enroll in Redecorate Repurpose Restyle, you’ll also receive some fabulous bonus guides for free! 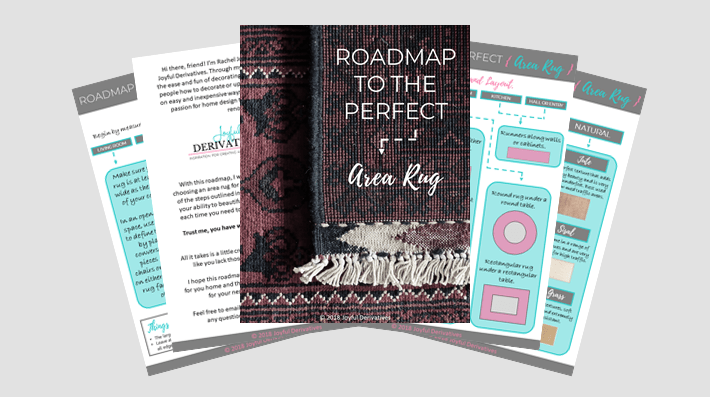 Never wonder what size or style of rug to purchase again - this guide will walk you through each step! Learn how to transform the look of your home in under an hour! 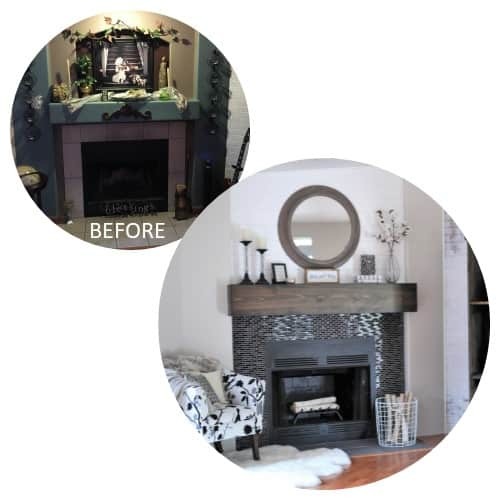 This guide will show you exactly how to decorate your mantel and walk you through the three simple steps to make it a beautiful focal point. » YES, give me the extra guidance! You can start ANYTIME. Redecorate Repurpose Restyle is a self-paced program, which means you can start TODAY, work through each lesson on your own time, and get the support you need. I’m not really crafty and I feel kind of lost when it comes to design. Will this work for me? YES! You do NOT have to be a crafty person to create a home you love. If you can make macaroni and cheese from a box, you can follow the instructions in these tutorials. You don’t have to make any furniture, covers, or anything else. If you want to get crafty you can, but it’s definitely not a requirement. And I’m here to help you with the design part! That’s really up to you. Every lesson has a bit of reading material and either a workbook or short video to show you how to do things — the videos are all around 30 minutes or less. You can do as much or as little as you want every day. I recommend that you spend about half an hour a day working on the material, and you can get through everything in about two weeks. The actual redecorating will probably take you a bit longer! I have a different question that you didn't answer! No problem! Just email me and ask! I’ll be happy to answer any questions you have at any time. 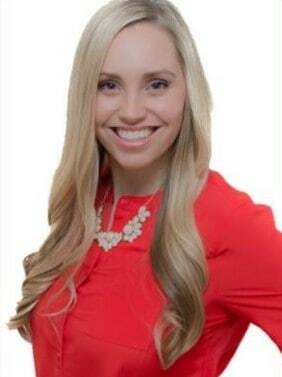 Rachel Joy is a financial analyst turned interior designer that specializes in DIY-focused designs that allow you to achieve a high-end and stylish home at a fraction of the cost. She and her husband are finishing up their second full-house DIY renovation and help other people every month transform their homes on tight budgets. 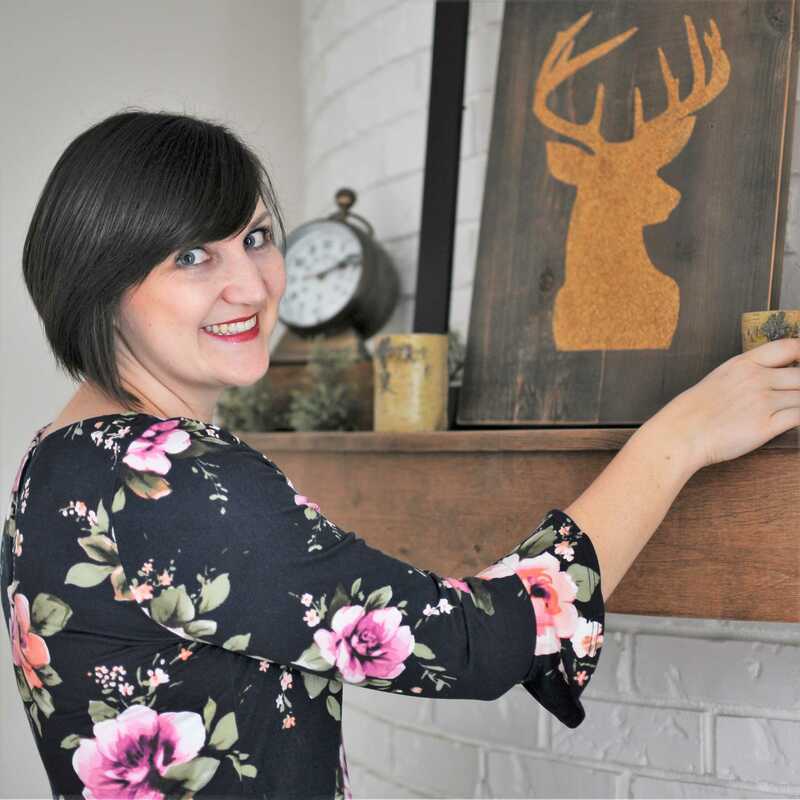 She is passionate about teaching non-designers simple and affordable ways to create a home they love to spend time in and are proud to share with others. 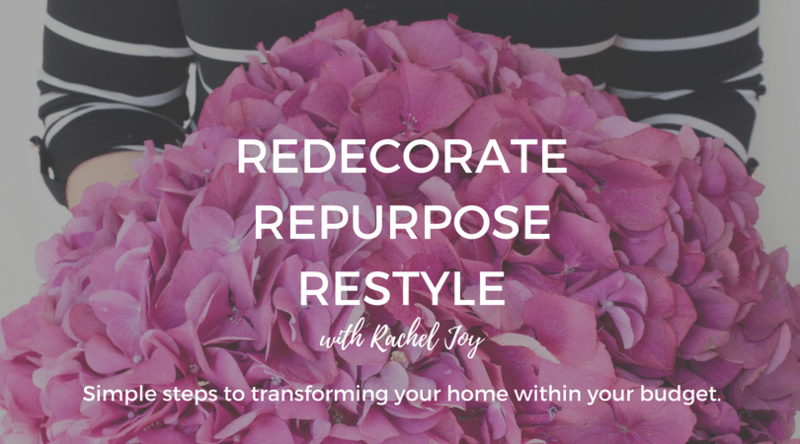 Enroll in Redecorate Repurpose Restyle with Rachel Joy today!